Similar to the Gold Moro Man Ring, this one has a little twist to it. 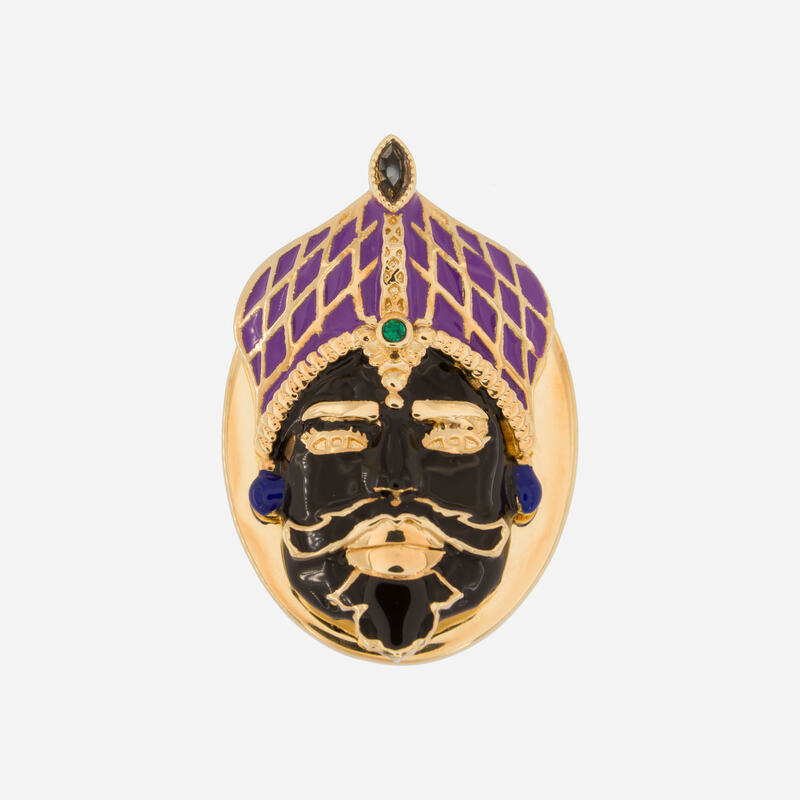 It is made of yellow gold-plated bronze, the face of the Moro Man is framed by golden motifs, alongside black enamel and colored glazes. 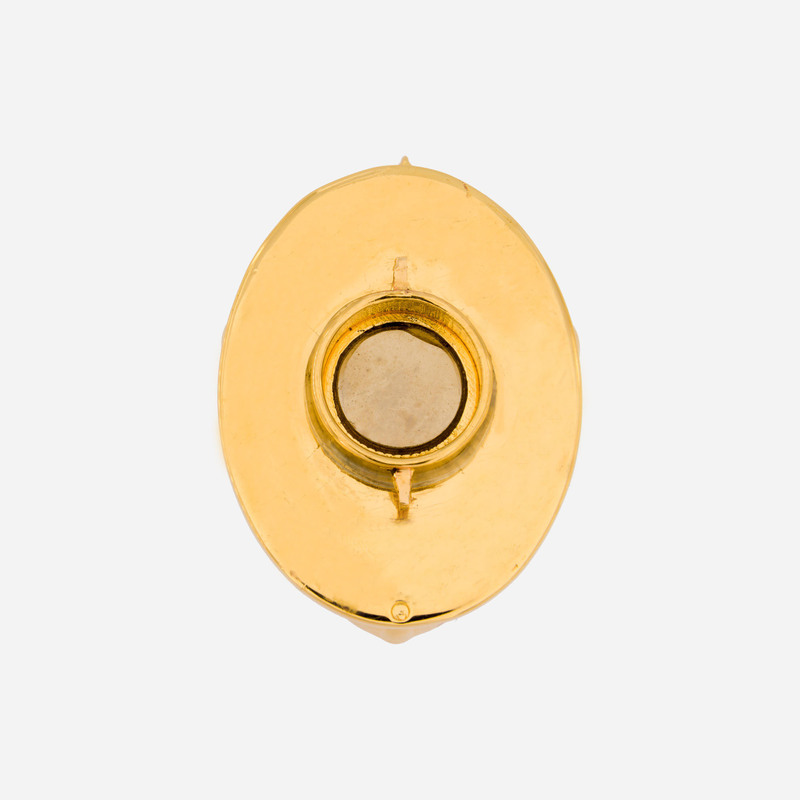 Acchitto mechanism of interchangeability is equipped in the ring which allows for personalisation. The vivid colours of the chunky ring will certainly make you stand out from the crowd.